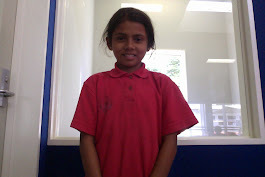 Kia Ora my name is Rima and I am 10 years old. I was born in a place called burma. My father and mother were also born in Burma. The reason I want to be an ambassador is so that I can let go of my shyness and bring in my confedens. I also want to represent pt england school and show other schools that we never give up and we always strive to succeed. The reason I think I am going to be a good ambassador is because I am really kind to others. I've never been in trouble. And I always use my manners. So that is way I think I am ready to be an ambassador.